THE WALL! True Gentleman! Permanent Class! Genius Stroke play! The man who never said never! Yes these are the exact words written below the image of this iconic man that has been put up on the wall exactly facing my bed. Implying, the first good omen that I witness every morning is Rahul Sharad Dravid’s face which in turn drives the values of modesty and simplicity in me,throughout the day. Well, in a game of thrones you either win or die but if cricket is that game (minus politics and only war).Rahul must sit at the Iron Throne. He is fierce and focused.When it boils down to business ,he is one of the all time best classical test batsman to have graced the game. He batted as a river runs, at an immemorial pace. You could tune into an innings of his at any time and be unsure whether he had batted six hours or six minutes. He is the protector of the realm. The wall!! A still from Reebok’s campaign during 90’s. This attitude did wonders for Rahul Dravid and team India. He epitomised an old-school “guts-before-glory” approach in an age increasingly defined by flashy Stroke play and low attention spans and that I feel is the reason behind his immense success. 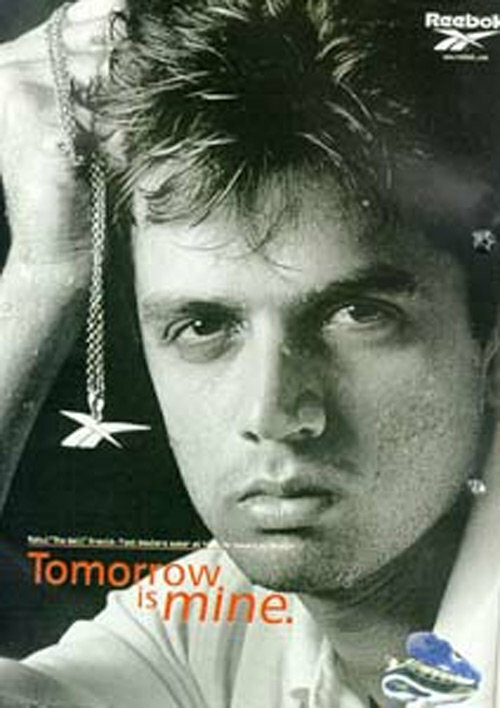 When a tough job needed to be done, it was Dravid India turned to. He didn’t like opening but he did. First slip was his natural habitat, but he yielded the position because a team mate with a bad back found it difficult to stand at second. He did the tough press conferences. And at the far end of his career, he made his international T20 debut, long after he had opted out of format, because India was struggling to put together an XI. He is the silent guardian who has done so much to the team without demanding an iota of eminence. Fortunately or unfortunately he never got distracted by fame, which he never got it as he was busy being doing his role. He was India’s Dark Knight. These are some of the instances which clearly state that he should have got his due and I feel sad for him. He scored 95 at Lord’s on his debut in 1996 which got eclipsed by Ganguly’s innings of 131. He made 145 in 1999 WC in England. In the same match Ganguly scored 183…Ah! It was again the same story. He hit 153 against New Zealand (a world record partnership with Tendulkar).But hardly a few acknowledge it as Tendulkar’s 186 fetched all the limelight. He crafted 180 in second innings at Eden Gardens. But he got unnoticed because of Laxman’s 281 and Bhajji’s hatrick. Even his retirement from the ODI and T20 format sadly got overshadowed by Tendulkar, who was also playing his’ last. Laxman is the God of fourth innings. Even the God is behind the “THE WALL “. One of the greatest virtues that hardly any of us posses is taking a negative feedback sportingly. That is exactly what distinguishes the goods from the greats. Dravid evolved and adapted with majesty after he was dropped for his slow scoring and orthodox strokeplay before 1999 World Cup. Not only he began the next venture with a 129 ball 145 and finished it as the highest run getter and is still in top 10 run getters in the history of the ODI format of the game. He played to his own wondrous sheet music and is rightly termed as the ambassador of copybook staying of playing the game. Dravid averaged 51 at home and 53 away. Some are born to greatness. Rahul Dravid acquired it. In Adelaide during 2003, he batted India to their first win in Australia in over 20 years by scoring 305 runs in the two innings, occupying the crease for 835 minutes.”Rahul batted like GOD” these were the exact words of the Indian skipper Ganguly after the match. In the March of 2001, Rahul Dravid along the likes of VVS Laxman scripted a fairy tale that changed the course of Indian cricket. The pair added 335 runs without offering the mighty Australians a single sniff, and pulled out a victory from following on. It was the third incident in the history of the game. True grit shown Eden Gardens resulted in India’s historic win against the Aussies. Warne’s expressions says it all ! India’s 2011 tour of England provided more occasion than others to drag out the familiar clichés about lone bulwarks and defiant solos: Rahul Dravid scored 461 runs in the tests, nearly 200 more than any of his team mates, at twice the average. The finest of the three hundreds came at Trent Bridge (117). At Oval he opened and stood unbeaten as the rock around which the rest moved. He is someone who not is technically profound in his game but is equally graceful and dignified as a person. At times he travels in a local BMTC (Bangalore Metro Transport Corporation) bus, eats at restaurants with common people, and drops his child to his school with absolutely no fuss, like a normal civilian. Not only is he a gentleman on field, but in real life as well. Remember when he was called for interrogation by Delhi Police, being the captain of Rajasthan Royals (with regard to the match fixing controversy) even the commissioner of police knew that a person of his stature could never do anything like this and mocked the media at a press conference that he wanted Dravid’s autograph that’s why he went and met him. Nothing else! For me off the field I think his proudest achievement was in 2011. He was invited to deliver the Bradman Oration in Canberra .He is the first Indian and first non Australian to have been honoured of this. His speech was wide ranging, meticulous and memorable not only in terms of the achievements of Sir Don, but the way he threw light on the Indian cricket, he completely changed India’s image .I regard it as one of the finest talks to have been given by any cricketer. 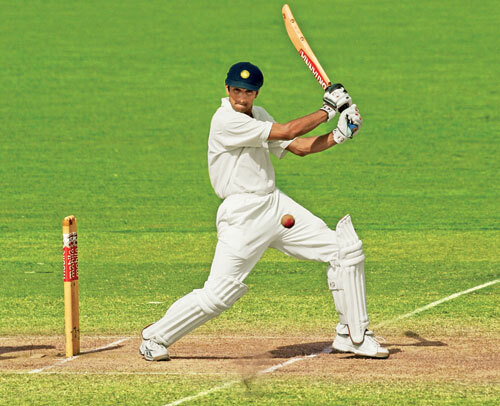 When Dravid was at crease, the team scored 32,039 runs; which amounted to 35.6% of the total runs that India made in tests in which Dravid played. 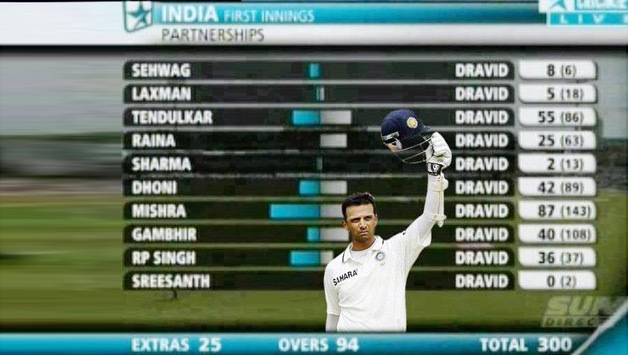 Dravid is the only batsman in the history of the game to be involved in more than 700 partnerships. In fact no other batsman has touched 650 so far. He holds the record of playing the most number of deliveries (31,258) in test cricket. Highest run getter at No. 3 in tests with 10,524 runs in 219 innings at an average of 53. Rahul has scored 6 test hundreds in England, Only Sunil Gavaskar has more overseas hundreds to his name (7 in WI). Dravid has never been dismissed for a first ball duck in Tests. He was run out for 0 without facing a ball in 2004 at Lahore. 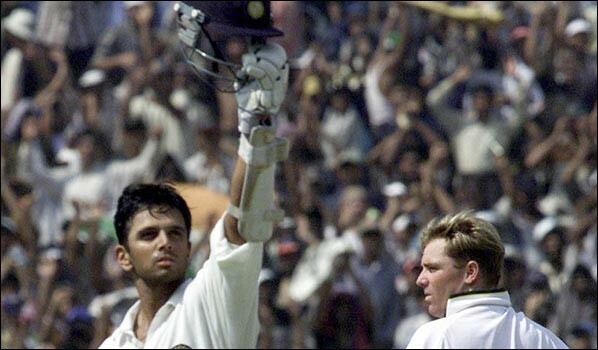 Of the 11 triple century stands by Indians in tests, Dravid has been involved in 4 which are the highest. Tendulkar and Laxman have been involved in three each. Two Indians have affected 200 plus ODI dismissals as a fielder or a wicket keeper. Dravid is one with 210, only MSD has more. Let’s have a sneak peek at what the greats feel about Rahul. He is an epitome of selflessness, humility, empathy, grit and perseverance. When a personality like Harsha Bhogle tells this” when I am done with my profession, I wish I could go with the reputation that Rahul Dravid earned “.it pretty much sums it up what a class act this man is. RESPECT ! This entry was posted in Cricket and tagged Adelaide, Bangalore, Batman, Bengaluru, Bhajji, BMTC, Brett Lee, Brian Lara, Chris Gayle, cricket, Delhi Police, Don Bradman, Eden Gardens, England, Game of Thrones, Ganguly, gentleman, guts before glory, Harsha Bhogle, Headingly, India, iron throne, Jason Gillespie, Kolkata, Laxman, Lords, Matthew Hayden, MSD, Navjot Singh Sidhu, New Zealand, ODI, Oval, Protector, Rahul Dravid, Rahul Sharad Dravid, Rajasthan Royals, Rawalpindi, Realm, Respect, Sachin Tendulkar, Shane Watson, silent guardian, steel, Steve Waugh, Sunil Gavaskar, T20, Tests, the dark knight, timeless, Trent Bridge by lalitvijay. Bookmark the permalink.